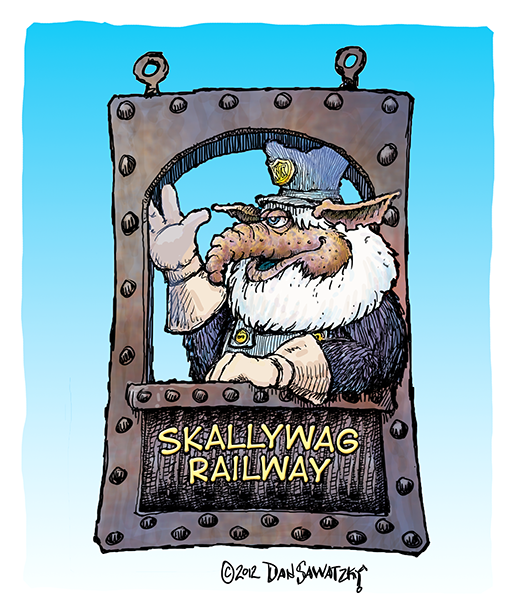 The largest feature of Skallywag Bay Adventure Park is now under construction. 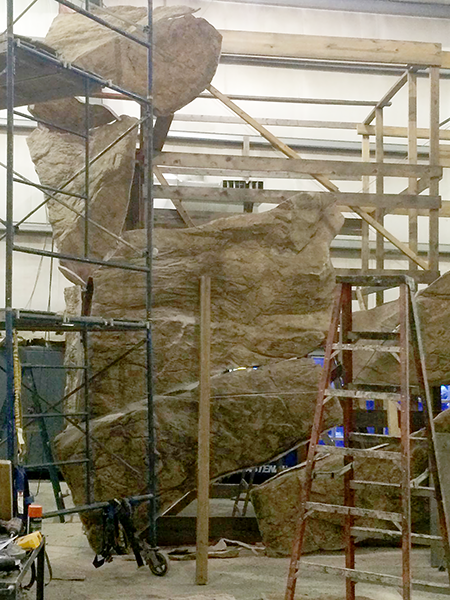 It is being prefabricated by RockWerx in their studio. 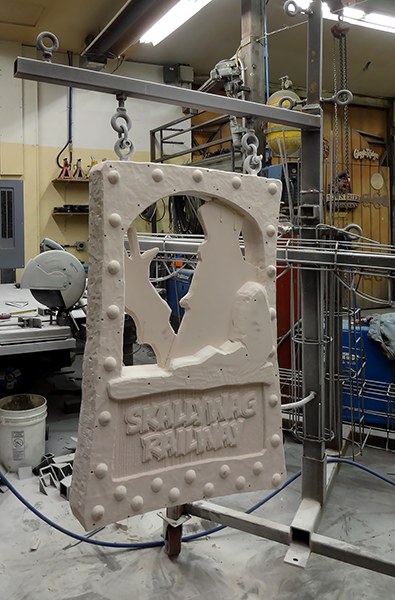 It will then be cut into pieces and transported to the site to be reassembled there. This feature is going to be immense and will top out at over fifty feet tall! We’ve decided to feature every one of the sixteen Gruffle characters though the park, primarily on the signs but also in other areas as well. 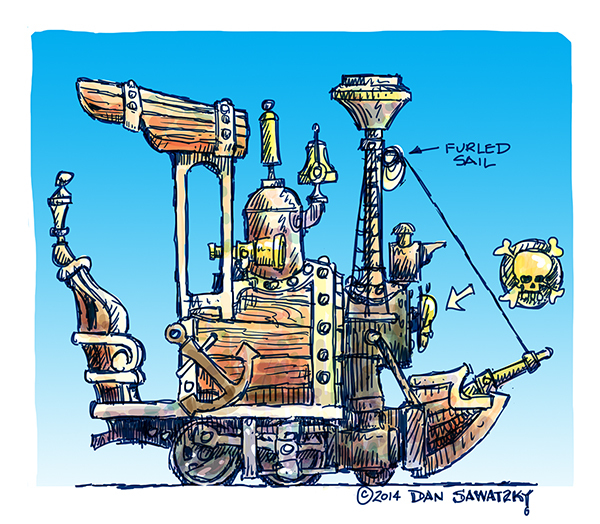 The purpose is of course to further the story we are telling. 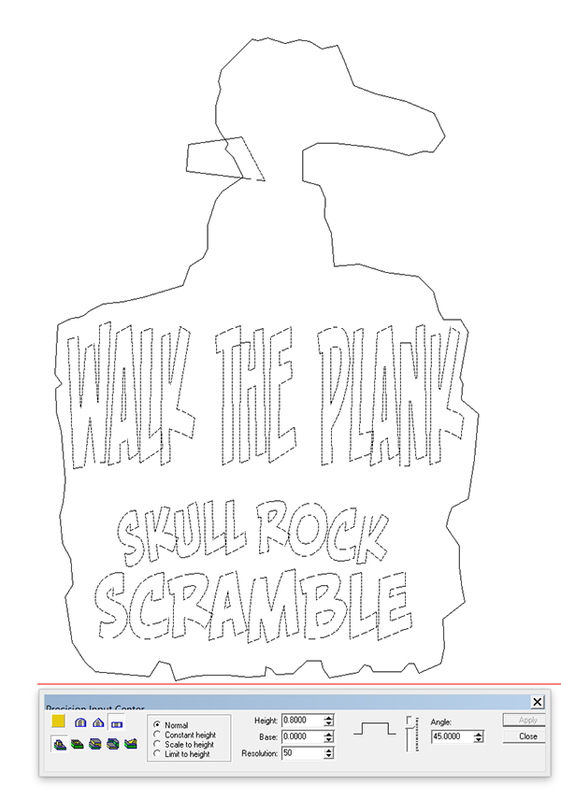 As I got into the design of the sign for the SKULL ROCK SCRAMBLE (A rock climb) and the WALK THE PLANK (a fifty foot controlled jump) attractions I wanted to include Webster as the feature character. Webster looks a lot like a turtle. It’s a bit impossible of course but then again just about everything in the park falls into this category. 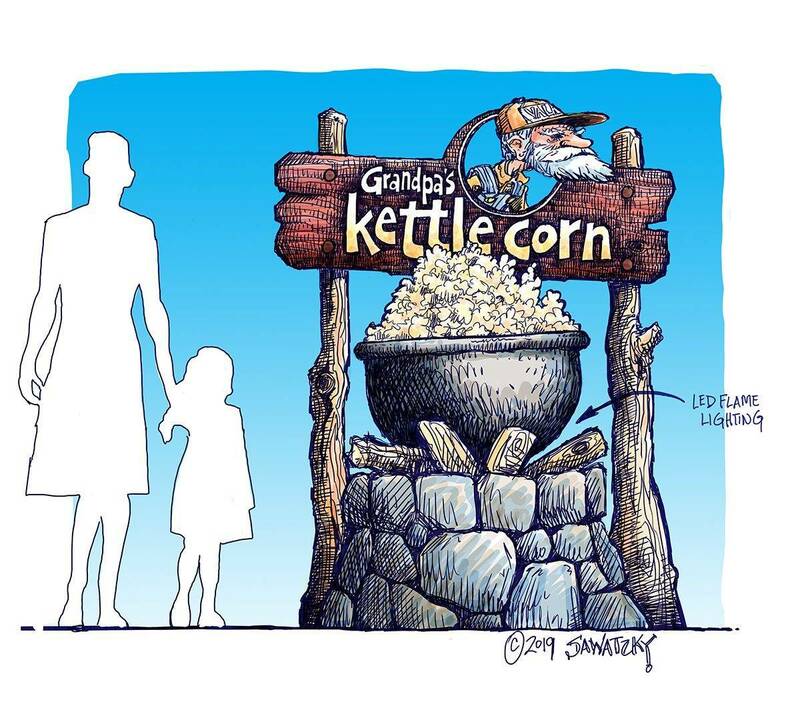 We decided to combine the two attractions into one sign since they share the same feature. 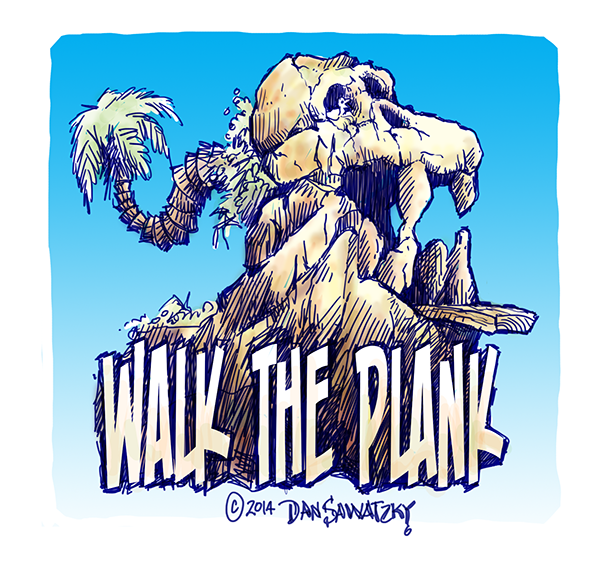 I had already done the concept for the WALK THE PLANK attraction. 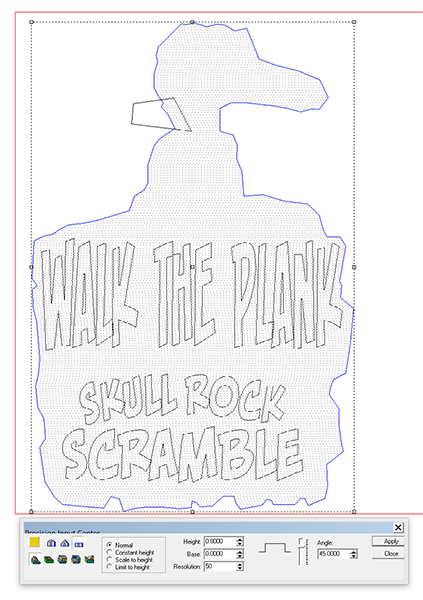 The SKULL ROCK SCRAMBLE lettering would go underneath and Webster will be climbing up the side of the sign. 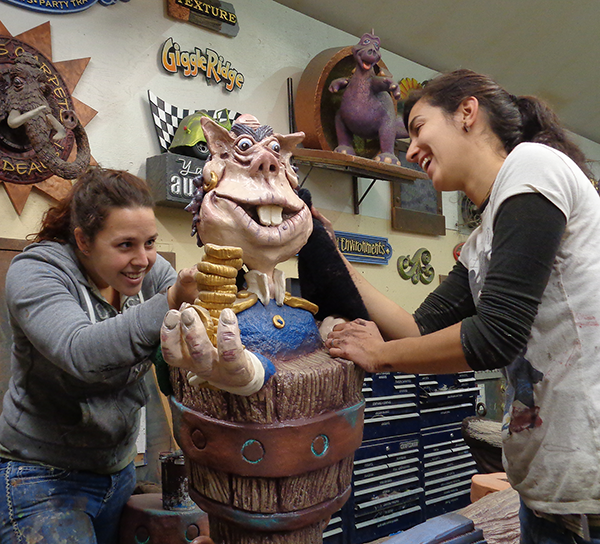 Because Webster will be clinging precariously to the rock by only three legs I’ll hand sculpt him to achieve the most drama possible and bring him to life. 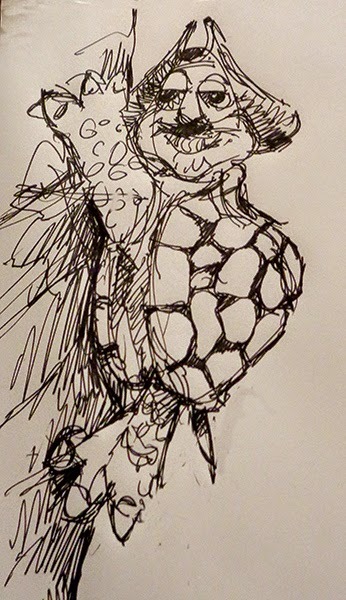 For now I settled for a quick sketch to work up the idea. I whipped up a new texture to help create the rock work which will hopefully look somewhat like the rock face we are making for the mountain peak. It was quick and dirty but as I created it I kept in mind what happens when we use textures in EnRoute… Back does nothing, white raises by the amount we inter and grey colors do something in between – depending on their value. The JPG was created in PhotoShop is only a few minutes using a variety of brushes. 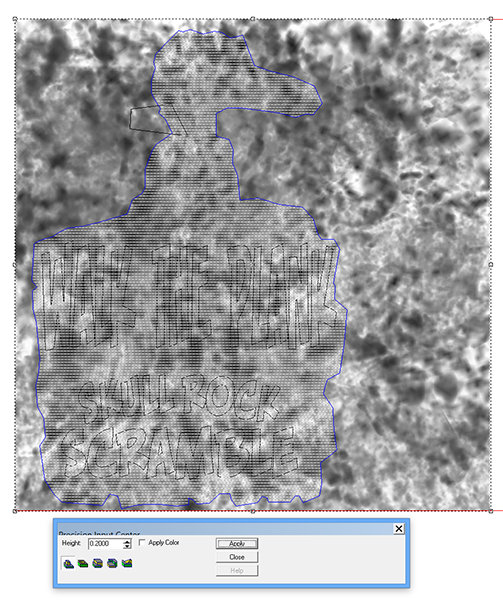 I started with the rough outline of the rock and the lettering vectors.. 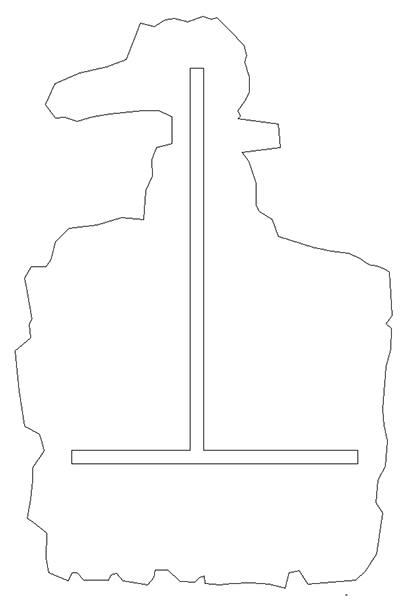 Using the rock outline I first created a flat relief that was 0.8″ tall. 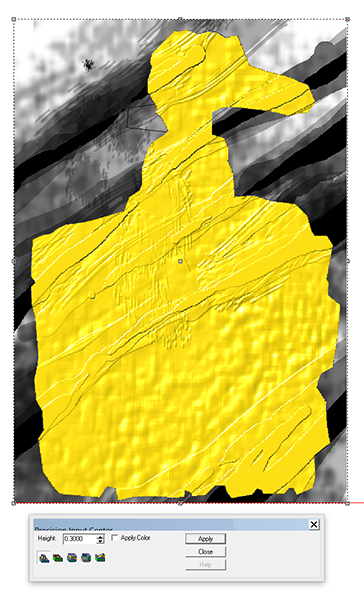 I then imported the new bitmap and applied it using a rather large value of 0.3″ This created some substantial texture across the piece. 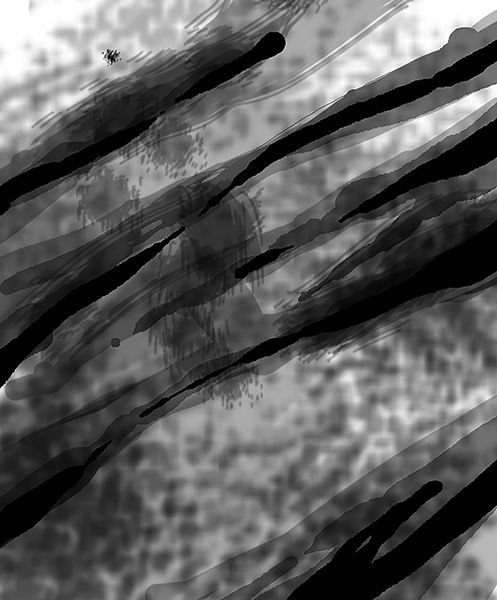 I then imported SPLOTCHES and applied the second bitmap texture to the piece. 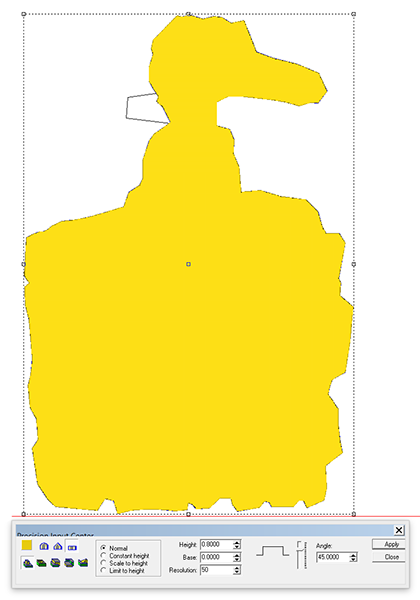 This evened things out a bit with the deeper ridges still in place. I then duplicated and flipped the relief to form the back of the sign. 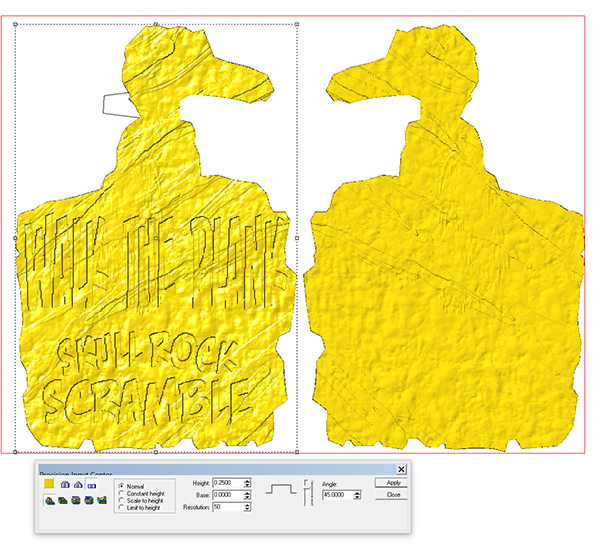 The lettering vectors were then used to modify the original relief and create the names. I also created a center section of the sign which will be laminated into the middle with room for the structural steel. 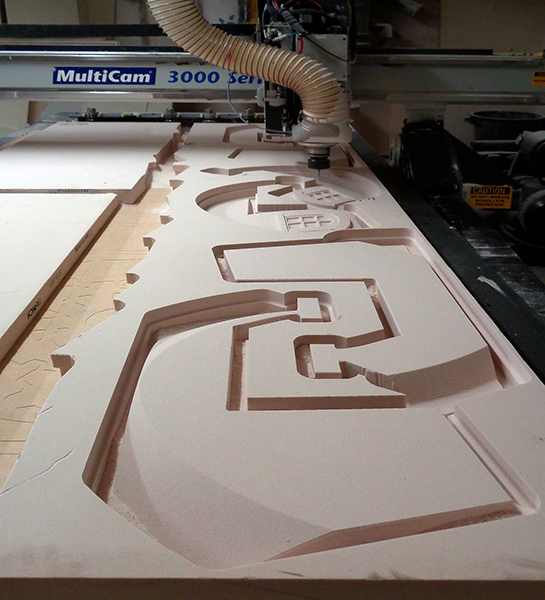 Tomorrow I’ll tool path the file and then throw a sheet of 1.5″ Precision Board on the Multicam and set it in motion.